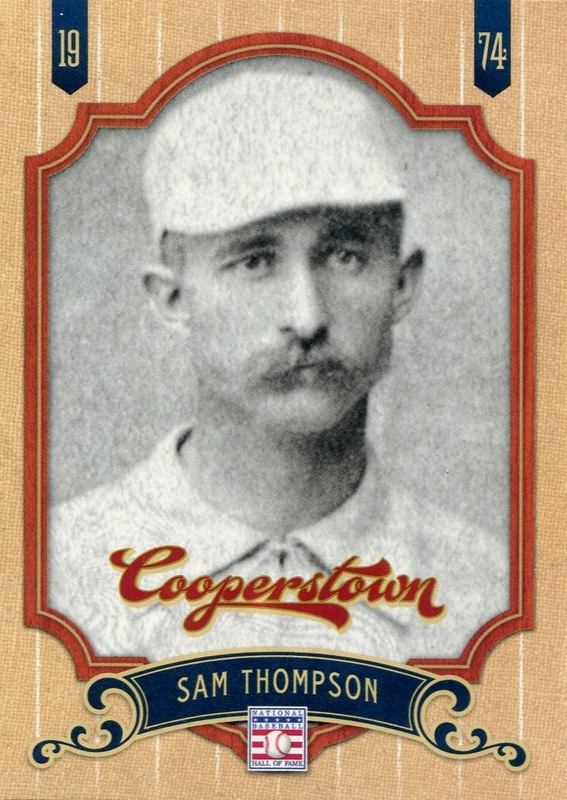 Take a good look at the back of the card: “1895, a season that included 61 [RBI] in August, a single-month record which still stands.” As the ghost of Sam Thompson watched last night’s game and saw the Phillies squander a great 10th-inning scoring opportunity with runners on second and third and no outs, he wept in shame. 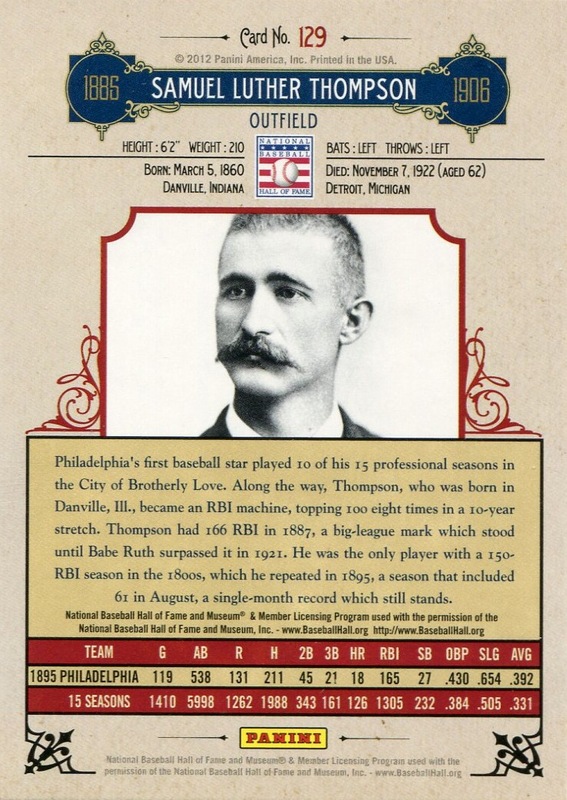 That is, he would have if 19th-century players cried. All he could really do was show his sad face, which his mustache partially hid.